When it comes to branding fails, there seems to be a general rule: the bigger they are, the more spectacular the goof. Here’s a round up of some of the more memorable big brand fails across the years. Relaunching a well established brand is always a risky move, but PepsiCo, makers of supermarket bestseller Tropicana, really pulled out all the stops with its new look Tropicana carton in 2009. The original Tropicana OJ packaging certainly ticked all the right boxes for branding success. With its eye-catching design of a whole orange pierced with a jaunty drinking straw, and the distinctive Tropicana brand name emblazoned across the top, shoppers had no trouble reaching for the right carton without a moment’s thought. Then came the rebrand. Oh dear. The original, unique design was replaced with a super-safe, generic picture of a glass of juice, and an almost apologetic looking Tropicana script clinging vertically to the edge. Supermarket shoppers reaching the juice section were confused. Where was the Tropicana? Many of them overlooked new packaging, mistaking it for the in-store bargain brand juice. Sales plummeted, and it took PepsiCo just a month to announce that it would revert Tropicana to the original packaging – smart move. Shampoo manufacturers are forever experimenting with new ideas and enticing new ‘flavours’. Sometimes it seems that anything goes – chilli pepper, beer, chocolate – but how about yoghurt? If you’re thinking ‘hmm, soured milk in my hair, what a great idea’ then you’re in a tiny minority. The Clairol product bombed and was almost immediately withdrawn from the market. Nice try though. In 1992, Barbie went earring crazy with ‘Mix and Match Earring Magic for Barbie and You!’ Girls loved the idea, and the new doll went down a storm. 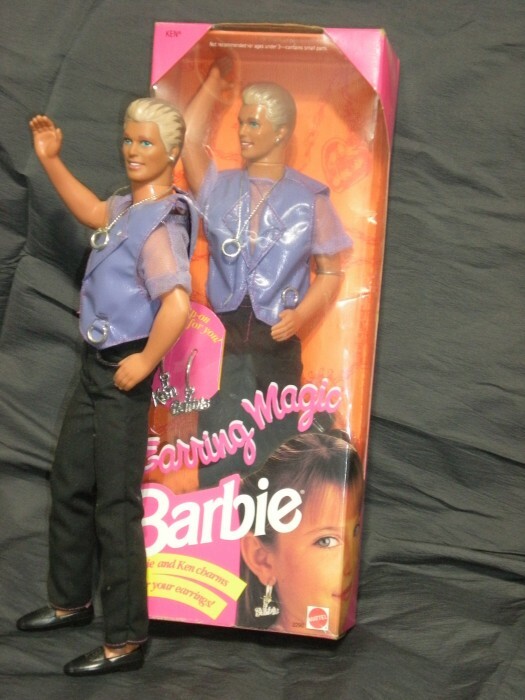 Flushed with success, Mattel hit upon another brilliant idea: Earring Magic Ken! Given a ‘cool’ makeover of blond highlights and pierced left ear, fetching lavender faux-leather vest and matching mesh shirt, Ken hit the shops. Sales were buoyant – in fact, Earring Magic Ken quickly became the best selling Ken model ever – but fans of this particular Ken were definitely not Mattel’s target customers. Dubbed ‘gay Ken’ in the media, the mums and dads of Barbie enthusiasts made it very clear they were not amused. Mattel hastily withdrew the product from sale, and Earring Magic Ken bit the dust. Sometimes you can see the logic behind the idea, but somehow it doesn’t quite work. Colgate Kitchen Entrees is a case in point. Think Colgate, think clean teeth, so the concept of a ready meal adorned with the Colgate logo doesn’t seem so incongruous. Trouble is, the unconscious association between the taste of food and the taste of minty toothpaste is very confusing and, really, not terribly pleasant. Little wonder that Colgate Kitchen Entrees crashed and burned. So, hats off to all the big corporations out there taking risks to keep us entertained – it would be a dull world without them!